There have been attempts across the years to create a definitive passing of crowns between the dark alternative thrashings of the ‘90s and the current, pop-saturated guitar dribble of the present. The multi-functioning and talented Elias Black might not accept such a crown, but I’ll be damned if it doesn’t look good on him. This self-titled album is a fascinating piece of design that you either stick with to fall madly and psychotically down its rabbit hole, or … find something else to listen to. At its heart, the album feels like barbed wire wrapped around a baseball bat that is used to thump the hordes of mainstream, radio-friendly zombies. The poignant lyrics serve as energy for each swing and echo any less-flattering thoughts about the world. Are we the dolls and robots that checkout-line magazines seem to make us into, or are we the drowning skeptics missing out because our backs are turned to everything? 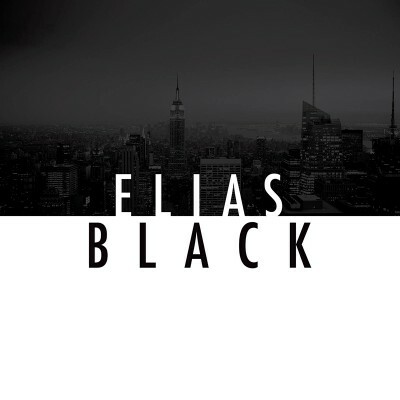 This is Elias Black’s album; a dark, haunting and powerful swing at life and all its delusions. It’s a medium for frustration, a thought for tired heads and a fantastical bat for keeping the commercially bright skies at bay. The album makes the most ground toward the end with “Black Flag” and “Crash,” which are reminders of how grunge made cushy suburbanites depressed little basket cases. The emotion feels so real that it made me close my eyes and nod dramatically between bites of mac & cheese and vegan, free-range toast. Elias Black pulls listeners into this thing made of wonderful bass hooks and cheeky, screeching sentiment. Black’s years of mixing and producing gives this album a well-rehearsed presentation that allows it to operate with ferocity. The only drawback to the album is that it’s not instantly appealing. There’s a learning curve here that newbies to the dark side of things might find daunting. Just give that old neck beard a bit more scratching, and the ambitions around your creative intuitions will certainly start to listen. The song “Still Alone” is passion at its lowest height and plays like the wayward keys that escaped from Trent Reznor’s neglected Moog Sub 37. “Into the Empty” is ultimately hopeful. “More Time” is already the longest song on the album. “35” is not about numbers, and “Saying Goodbye” introduces you to the album at the beginning. The point being: Expectations are pointless and only serve as cup holders for the much stronger substances inside. Black has finally created something that is purely his own, and it is a definitive measure of his brilliance and odd creative meanderings. The lessons from his past projects shine through on his first solo project, giving it an air of wisdom seldom achieved on freshman deputes.